Alexandre Darracq founded his automobile company in Suresnes, France in 1896. In 1903 he sold the controlling interest in his company to a bunch of Englishmen. Darracq still ran the company from Paris, but things were going poorly by the time WWI broke out. By 1920, the company had purchased Clement-Talbot and Sunbeam and was renamed STD Motors – now a fully British company. After that, French-built Darracqs were called Talbot-Darracqs for a brief bit before the Darracq name was dropped altogether. The two different companies have a convoluted history thereafter. This French-built Model V-14 is powered by a 16 horsepower straight-four engine and was delivered new to Ireland. It looks much sportier than it probably is, but the car was once driven by Phil Hill, so who knows. It should bring between $46,000-$69,000. Click here for more info and here for more from this sale. George B. Weidely sold his first car in 1902 and his Premier Motor Manufacturing Company continued to build four, and primarily six, cylinder cars through 1925. Based in Indianapolis, the brand was at the heart of one of America’s major early automobile manufacturing cities. 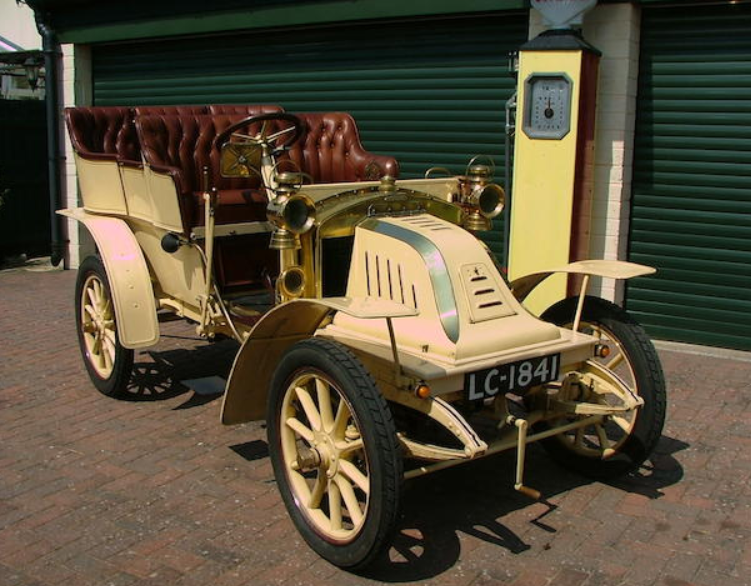 The 1904 Premier range was the first year they offered multiple models. This, the Model F, was the mid-range model and the top trim four-cylinder car the firm sold, priced at $1,400 when new. It’s powered by a 16 horsepower four-cylinder engine. The only body style offered was the Rear-Entrance Tonneau you see here. This particular example was restored in 1999 and is finished in Brewster Green and Canary (yellow). 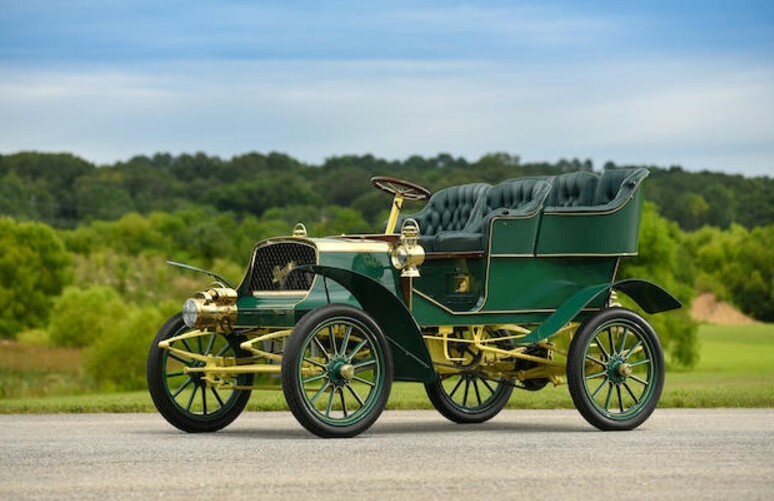 Only two 1904 Premiers have survived, the other being the more-expensive-when-new Two-Cylinder model that is in possession of the Indianapolis Motor Speedway Museum. Even though this is an American automobile, it is London-to-Brighton eligible and should sell for between $175,000-$250,000. Click here for more info and here for more from Bonhams. In Alsace, De Dietrich is more than just a short-lived, early car manufacturer. It’s an old family that owned lots of land and had lots of titles. 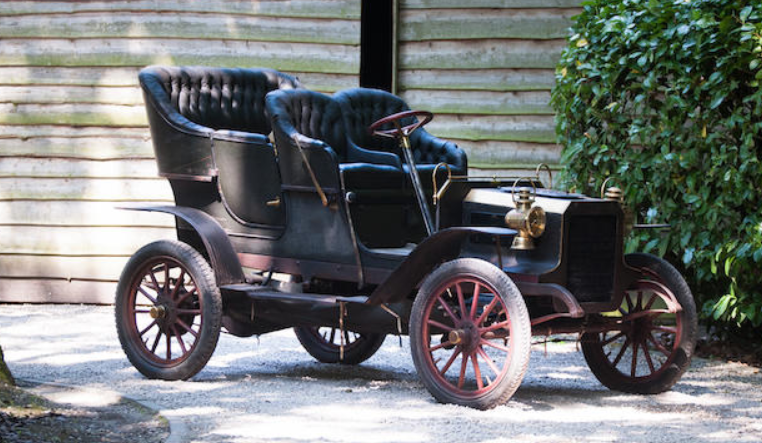 They entered industry in the 1840s and in 1897 they sold their first automobiles. 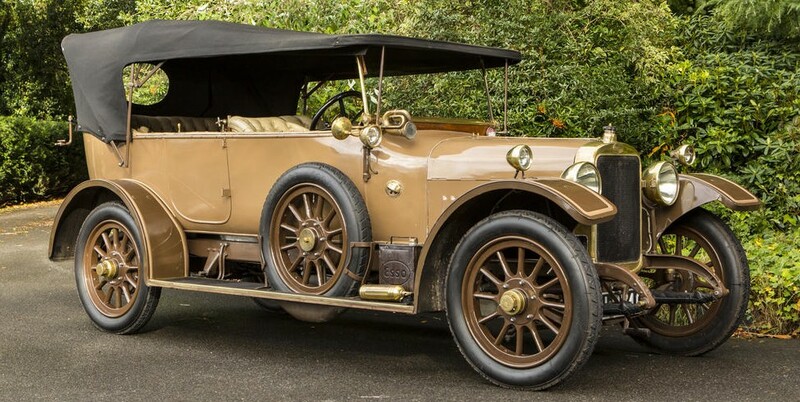 Strangely, as beautiful and well-engineered as these cars were, the De Dietrich marque would be gone after 1905 as the cars were then sold as Lorraine-Dietrichs. 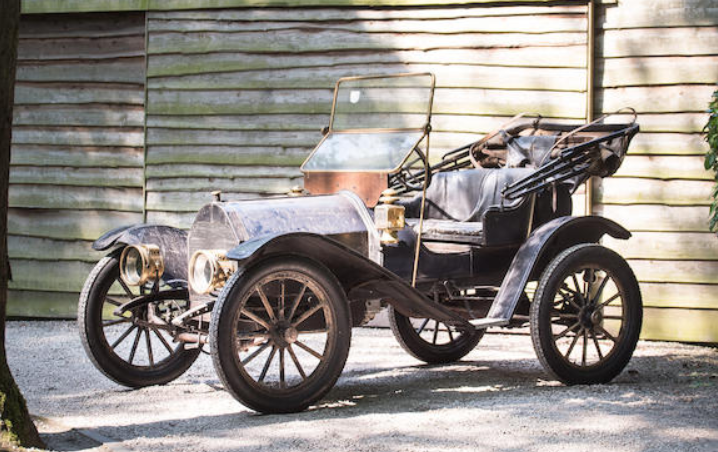 This particular car has an interesting history – it was discovered during WWII when a German bomb blew apart the barn that this thing had been stored in since 1912. This model is identical to those that De Dietrich entered in the 1902 Paris-Vienna race. It uses a 4.1-liter straight-four that puts out 16 horsepower. It can power this fairly large car up to speeds of 55 mph on level roads. This car was bought new by a member of the Guinness brewing family. He sold it and it was parked in 1912. In the 1940s, after it was unearthed by the aforementioned German explosive, the car was rescued from outdoor deterioration and a restoration was started in 1946. It has had a few owners since (and spent time in a museum) and a second restoration. This thing is beautiful. I wish I had the $1,300,000-$1,400,000 necessary to acquire it. Click here for more info and here for more from this sale. Sunbeam is one of the oldest names in automobiles. Of course, they aren’t around anymore, but the company did date back to 1888, when it was founded as a bicycle manufacturer by John Marston. 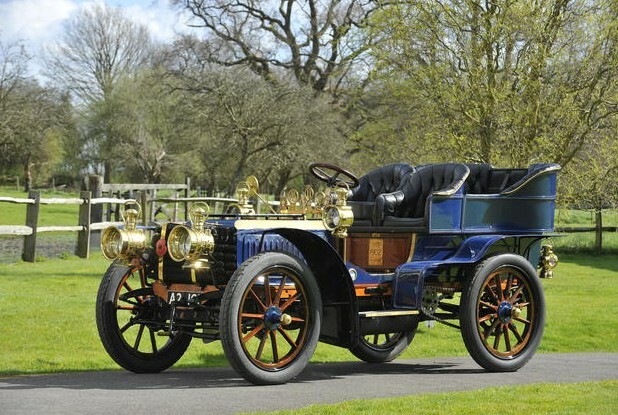 In 1902, the first cars appeared, under the Sunbeam-Mabley marque, and 1905 brought Sunbeam as a standalone make. 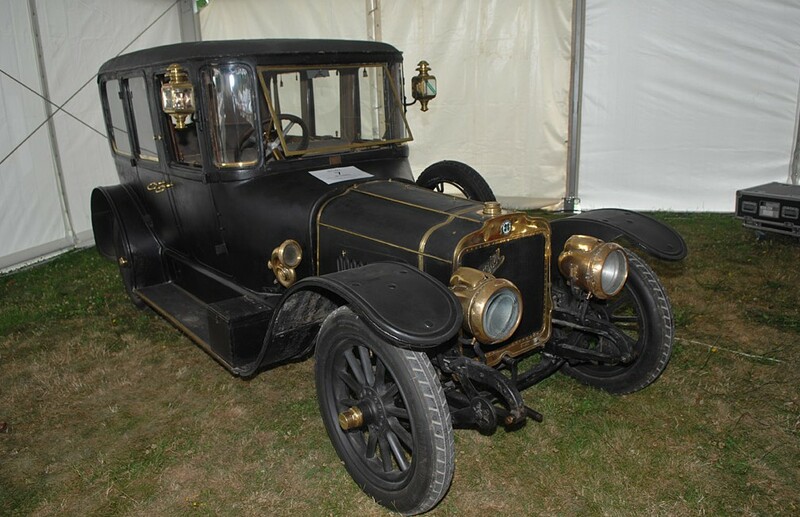 In 1919, the company merged with Talbot and Darracq. That didn’t go so well, and in 1935 the trio became part of the Rootes Group. The final Sunbeam-branded cars rolled off the assembly lines in 1978 and the name continued on as a Talbot model into the 1980s. The Sunbeam 16/40 was re-introduced in 1919 after WWI ended. It was a slightly updated version of the pre-war 16/20 that dated to 1912. It uses a 3.0-liter straight-four making 40 horsepower. 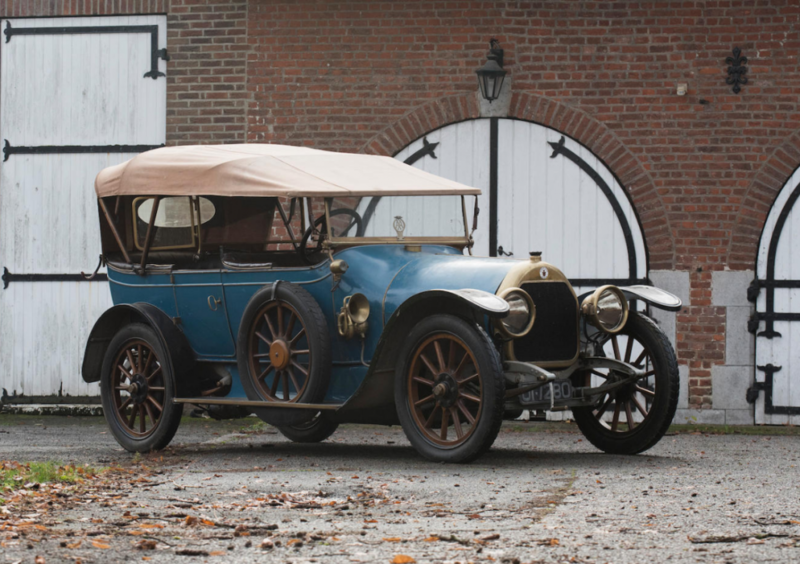 This Sunbeam is the oldest-known example of the marque backdated to the end of the Great War (in other words, one of the earliest cars made after the armistice). It was parked sometime around 1928 and entered the National Motor Museum at Beaulieu in 1957. It spent 11 years on display before re-entering private ownership and being restored. This is a good-driving old touring car that can be bought for somewhere in the neighborhood of $73,000-$89,000. Click here for more info and here for the rest of Bonhams’ auction lineup. Henri Brasier joined the Georges Richard’s automobile company and the new Richard-Brasier company began to produce cars in 1902. That only lasted through 1905, when Richard left the company. So the company that started out with Georges Richard’s full name as the marque, gradually decreased until it was just “Brasier” left. 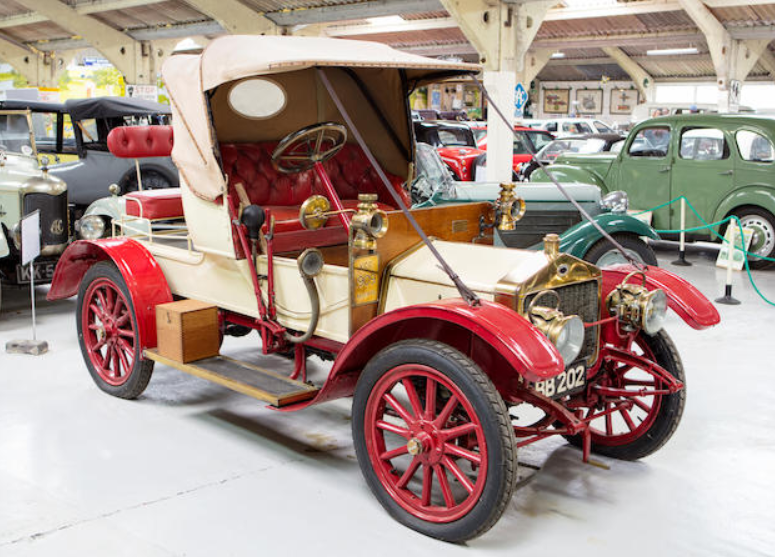 Brasier started building cars in late 1905/early 1906 and lasted through 1926, after which they were called Chaigneau-Brasier, until the company ultimately closed in 1930. This particular Brasier is a 1913 Sedan with coachwork by Marcel Guilloux of France (if you couldn’t tell where he was from based on his name). It uses a 3.2-liter four-cylinder making 16 horsepower. The car was bought new by a gentleman in France who walled it up when the First World War broke out. The man perished in the war and the car wasn’t discovered again for 70 years, when the wall he built was demolished during a home redesign. It’s bounced around since, having appeared in a few movies along the way. It is entirely original – a great example of “time warp” condition that makes it perfect for high-class car shows all over the world. It runs well and everything works. It should sell for between $100,000-$130,000. Click here to read more and here for more from this sale. No, the guy who started this company was not that full of himself that he thought his first and last names needed to be on the company letterhead. Richard Brasier was not a person – in fact, Richard-Brasier (that hyphen is important!) was actually founded by two people: Henri Brasier and Georges Richard. (Ironically, Georges Richard sold cars under the name “Georges Richard” before Brasier joined him, so yeah, maybe he was a little full of himself). Henri Brasier left Mors in 1901 and cars were offered as Richard-Brasiers beginning in 1902. It was short-lived, however, as Georges Richard left the company in 1905 to found Unic. 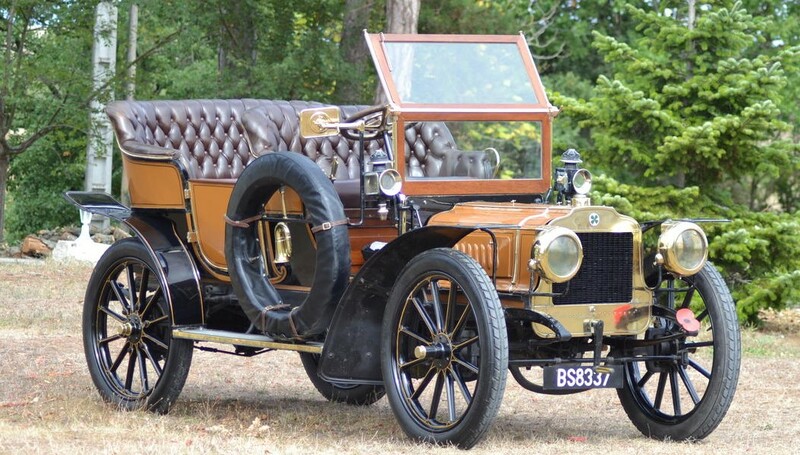 Beginning in 1905 the cars were known simply as “Brasier.” And here is an rare example of this very fleeting marque. This model, from the last year of production before switching names, uses a 2.3-liter straight-four making 16 horsepower (rated by the factory at the time it was built). It’s a large car for such a small power rating, as the company offered models up to 40 horsepower as well. The history of this car is known from 1975, when it entered display at a Dutch museum. It is definitely a driver, having run London-to-Brighton every year since 2000 (with one exception). 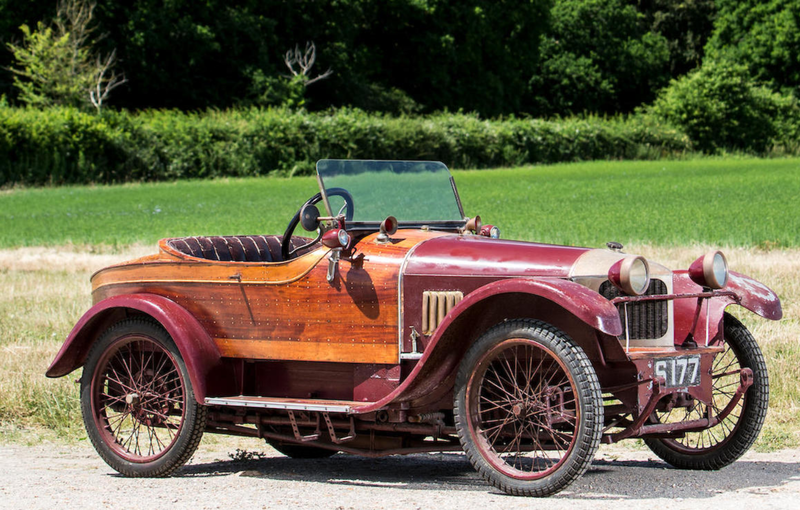 This is a truly glorious automobile from the pioneering days of motoring and it would be worth any serious collector’s time to think carefully about acquiring it. It is expected to sell for between $350,000-$480,000. For more information, click here. 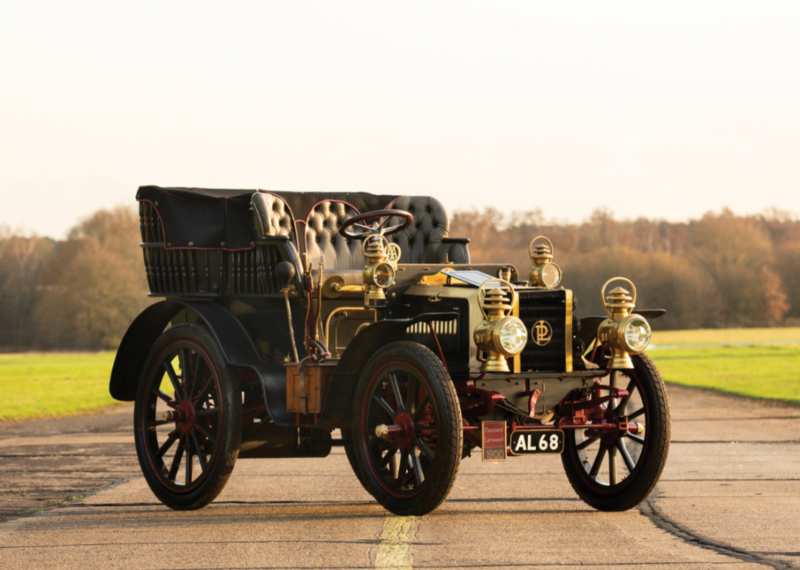 And for more from Bonhams’ Veteran car sale, click here.